Several diseases may affect the spine of children and adolescents, some of them inherent to skeletally immature patients, such as juvenile idiopathic arthritis, “idiopathic” pediatric intervertebral disc calcification, and Scheuermann disease, while others are not specific of the pediatric age group but present peculiarities when children are affected, such as spondylolysis and spinal infection. Awareness of the imaging appearance of these conditions is paramount to the differential diagnosis and to guide therapeutic decision-making. Some other musculoskeletal disorders that present spinal involvement in children are discussed elsewhere in this book and are not included in this chapter. Du JJ, Chen YF, Peng Y, Li XJ, Ma W. Calcification of the intervertebral disc and ossification of posterior longitudinal ligament in children. BMC Musculoskelet Disord. 2018; https://doi.org/10.1186/s12891-018-2227-z. Hospach T, Maier J, Müller-Abt P, Patel A, Horneff G, von Kalle T. Cervical spine involvement in patients with juvenile idiopathic arthritis – MRI follow-up study. Pediatr Rheumatol Online J. 2014; https://doi.org/10.1186/1546-0096-12-9. 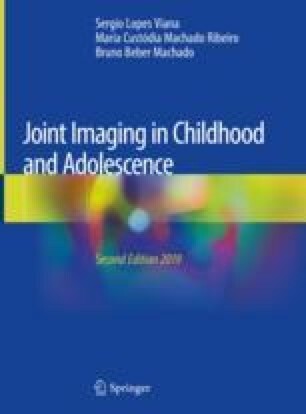 Klju``evšek D, Emeršič N, Toplak N, Avčin T. Clinical and MRI outcome of cervical spine lesions in children with juvenile idiopathic arthritis treated with anti-TNFα drugs early in disease course. Pediatr Rheumatol Online J. 2017; https://doi.org/10.1186/s12969-017-0173-1. Kumar Y, Gupta N, Chhabra A, Fukuda T, Soni N, Hayashi D. Magnetic resonance imaging of bacterial and tuberculous spondylodiscitis with associated complications and non-infectious spinal pathology mimicking infections: a pictorial review. BMC Musculoskelet Disord. 2017; https://doi.org/10.1186/s12891-017-1608-z.